My Choice by Sorana N.: MiraCurl-Hair goes in...curl comes out!!! En: Whenever i am in Baia Mare (my boyfriends hometown),I go to the same beauty and hair salon : Bellezza . In my opinion is the best one in this small but beautiful town. 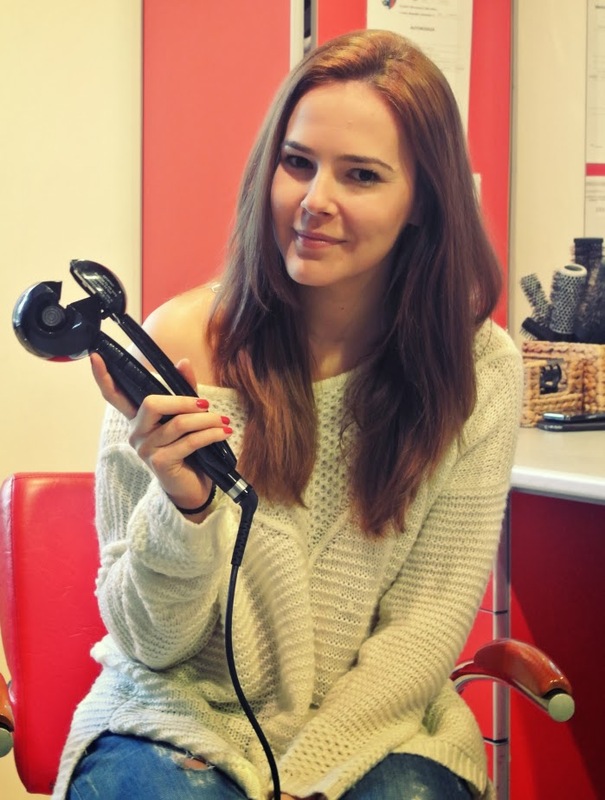 This time, as soon as i walked in , i saw this UFO looking curler ...I had to give it a try . 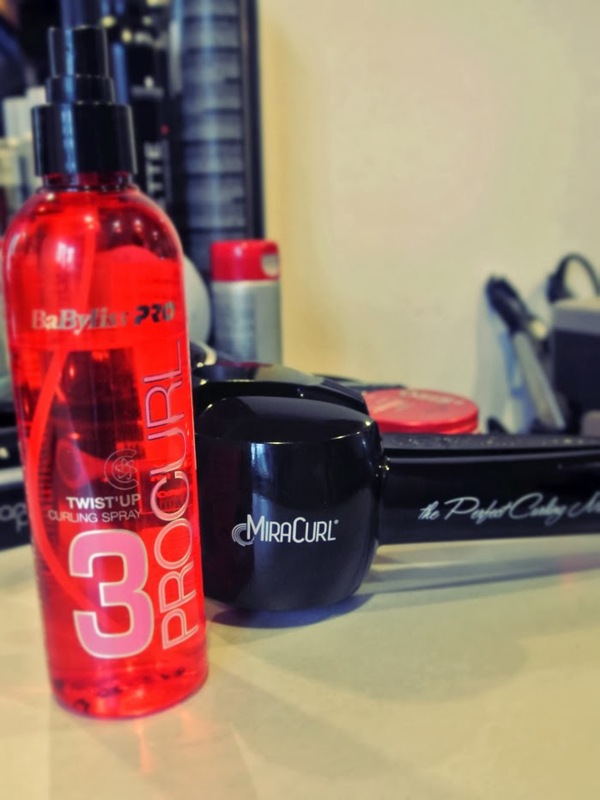 MiraCurl is made by BaByliss Pro and it's the world's first professional curl machine that forms one perfect curl after another. Ro: De fiecare data cand sunt in Baia Mare , merg la acelasi salon : Bellezza . In opinia mea este cel mai bun salon din acest micut dar frumos orasel. De aceasta data, cand am intrat , am vazut acest aparat de incretit parul care arata ca un OZN... trebuia neaparat sa il incerc. MiraCurl este un produs BaByliss Pro si este primul aparat de incretit parul automatic, care formeaza bucle perfecte. 1. 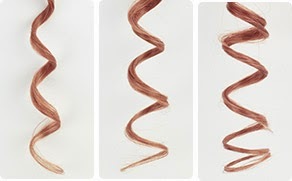 Place a section of hair in the "v" section of the unit.Make sure that the "open" side of the MiraCurl is always positioned facing the head. 1.Puneti o suvita de par in sectiunea "v" a aparatului. Aveti grija ca partea "dechisa" a ondulatorului sa fie intotdeauna cu fata la scalp. 2. Close the handles . 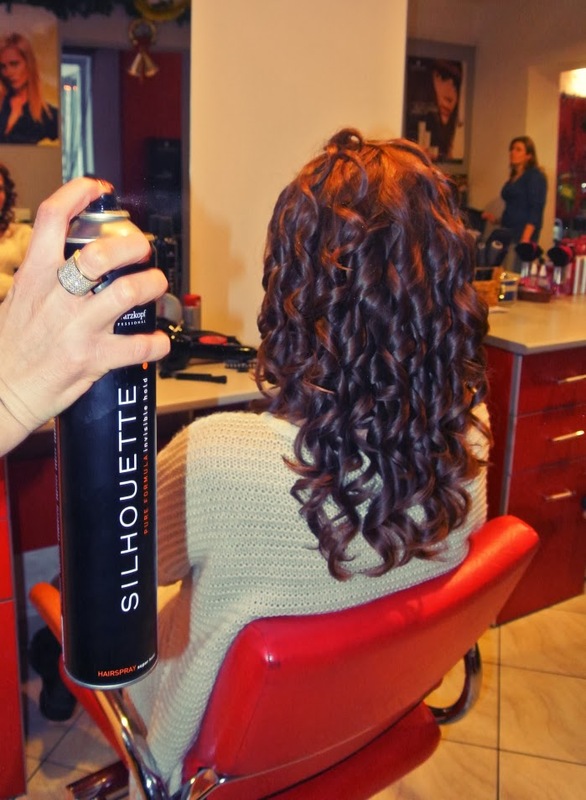 Hair will be automatically drown into the curling chamber. 2.Inchideti manerele. Parul va fi tras automatic in interiorul aparatului. 3.If you've chosen the setting from No-Timing/Audio Signal Off (first position ) simply keep the handles closed until you are ready to remove the hair. When you choose timed settings ( 8,10,12 seconds) MiraCurl will start counting when you close the handles and than beet at regular intervals while curls are being formed- 3 times for 8 sec., 4 times for 10 sec., 5 times for 12 sec. The machine will signal 4 beeps in quick succession when timing is complete. Now the only thing you have to do is open the handles and release the curl. 3. Daca ati ales optiunea No-Timing/ Audio Off ( prima pozitie), pur si simplu tineti manerele inchise pana cand doriti. Cand alegeti optiunea pe timp ( 8,10,12 secunde) MiraCurl va incepe sa numere in momentul in care ati inchis manerele si pe urma va atentiona cu un beep la intervale regulate in timp ce se formeaza buclele: de 3 ori pt 8 sec., de 4 ori pt 10 sec. si de 5 ori pt 12 sec. Aparatul va emite o succesiune de 4 beep-ri rapide care anunta ca procesul s-a terminat. Acum, tot ce aveti de facut este sa deschideti manerele si sa lasati bucla sa iasa din aparat. So beautiful! I wish I had one, but they're expensive, in my opinion.. About 100 dolars.. The curls are so beautiful! Ai făcut o alegere grozavă, arătându-ne și filmulețul. cu drotul conic mai mare de la babyliss !!! Wow, you look fabulous, gorgeous hair! Your hair looks amazing, love the curls with this machine ! Wow so cool machine I love it how curling the hair is amazing, your loks beautiful. Wow, the miracurl works magic. Your hair looks amazing! I never curl my hair, but this hair-do looks great! Arata bine buclele, dar am mai vazut tutoriale pe YT si ziceau fetele ca dureaza destul de mult toata "operatiunea", fata de un ondulator normal. Eu am oricum parul scurt deocamdata, asa ca nu folosesc nici o ustensila. What a transformation! Your hair looks so pretty! i heard about this curler. You look lovely. The curls came out fabulous. So nice outfits. I love your style hair looks great. Hope we are follow each other by facebook.